27 Minutes Or Less – Guaranteed! Discover the ONE secret ingredient for a web site traffic SURGE. It’s time to grab the online exposure your business needs and deserves. 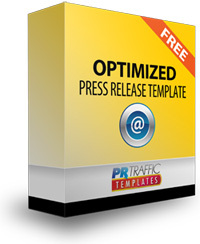 Everything is just one click away – claim YOUR FREE optimized press release template now! Fill-in-the-blanks easy! 70% pre-written text – INCLUDED! Winning headlines and complete sample release – INCLUDED! Keyword and link optimized to boost your search engine rankings and social media visibility – FAST! Claim Your Free Optimized Template! Your details are safe with us. We’ll never sell, rent or share it. That’s our guarantee to you. Copyright © 2014 Maintopic Media LLC. All rights reserved worldwide.